The Nashville skyline in Nashville, Tenn. May 18, 2017. 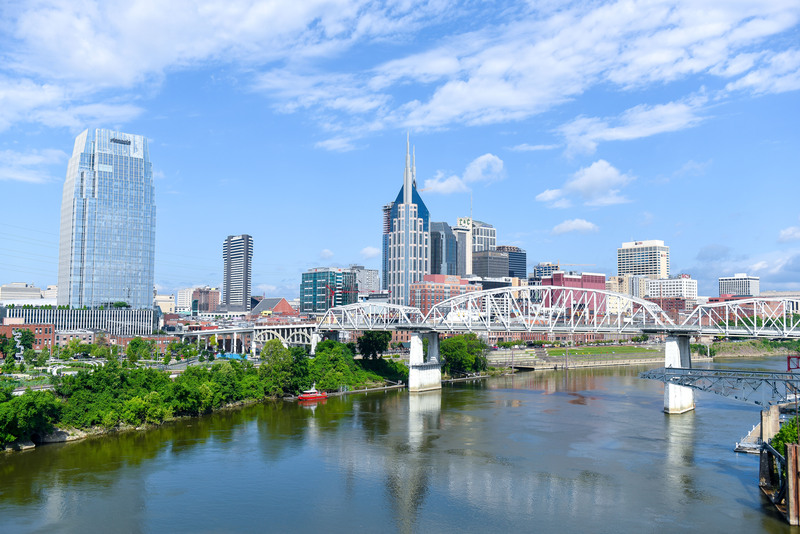 Nashville’s ever growing fashion and technology scenes were recently lauded by Inc. Magazine as being the city’s greatest kept secret. At Belmont, this secret is well known as students from the recently acquired O’More College prepare to transition their studies to campus in the fall as the O’More School of Design at Belmont opens its doors. Inc. points out the city’s well-known music scene, complete with venues, recording studios, daily concerts and more, but gives a nod towards the ever-growing tech and fashion industries as more and more ethical companies make their home in Music City. “The musical city is finding its voice as an emerging tech and fashion hub,” the article says. Now at Belmont, the O’More School brings new programs to campus including fashion design, interior design and fashion merchandising. By joining forces, Belmont’s fine arts offerings have expanded nearly overnight, providing new majors in fast-growing industries. Additionally, the new school creates ample opportunities for interdisciplinary collaborations across campus as entrepreneurs engage with interior designers and theatre students brainstorm costume ideas with fashion designers. And O’More’s programs continue to bring accolades to Belmont’s growing list as the Fashion Design program is one of the top 10 in the South and the only Tennessee program nationally ranked, according to fashion-schools.org. Beyond providing a top-notch education to aspiring designers, the O’More School and Belmont’s Center for Entrepreneurship have been the educational sponsors for many of the Nashville Fashion Alliance’s seminars and workshops, opportunities to continue growing these industries throughout the city and beyond. The organization’s next workshop is focused on Brandology.